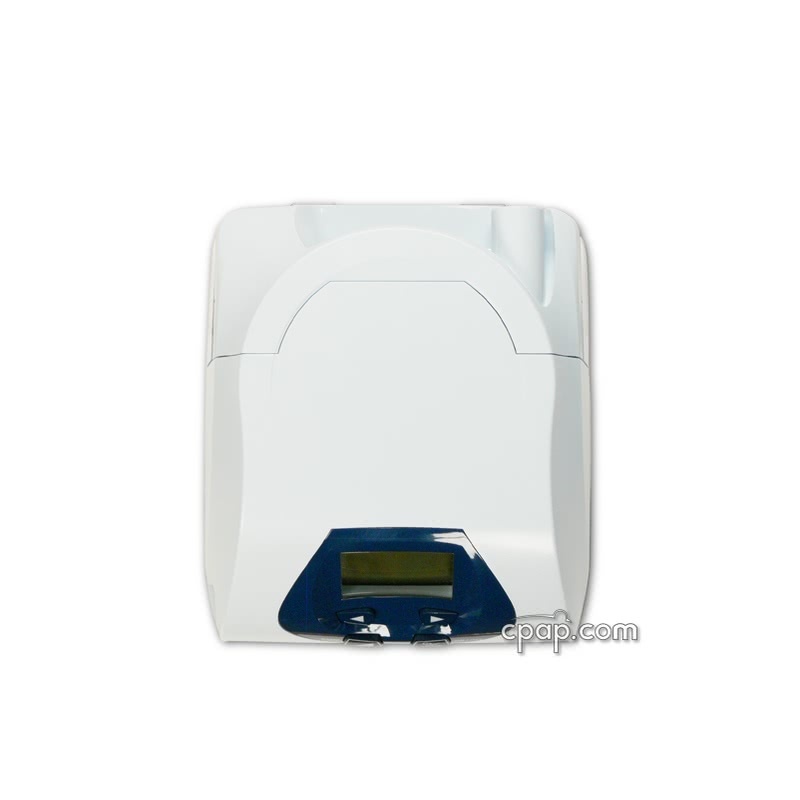 Newer Model Available: IntelliPAP BiLevel Machine with SmartCode. 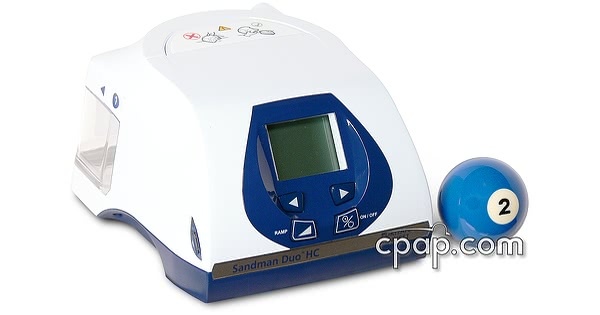 The Sandman Duo is lightweight, compact and user-friendly. The Duo BiLevel features an intelligent pressure stability and respiratory events detection system that reacts to an obstruction event. 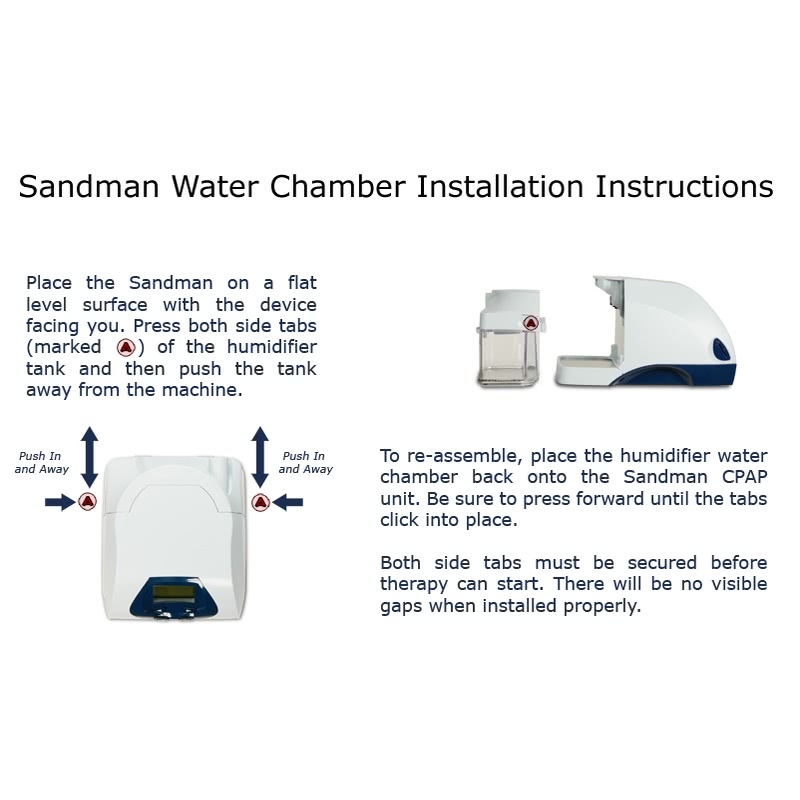 Also, the Sandman Series includes the humidifier technology called HumidControl. The built in humidifier actually measures the temperature outside the chamber and adjusts the heater plate to minimize condensation. At 2.64 pounds, take the Sandman Duo anywhere and feel confident you will receive effective therapy. 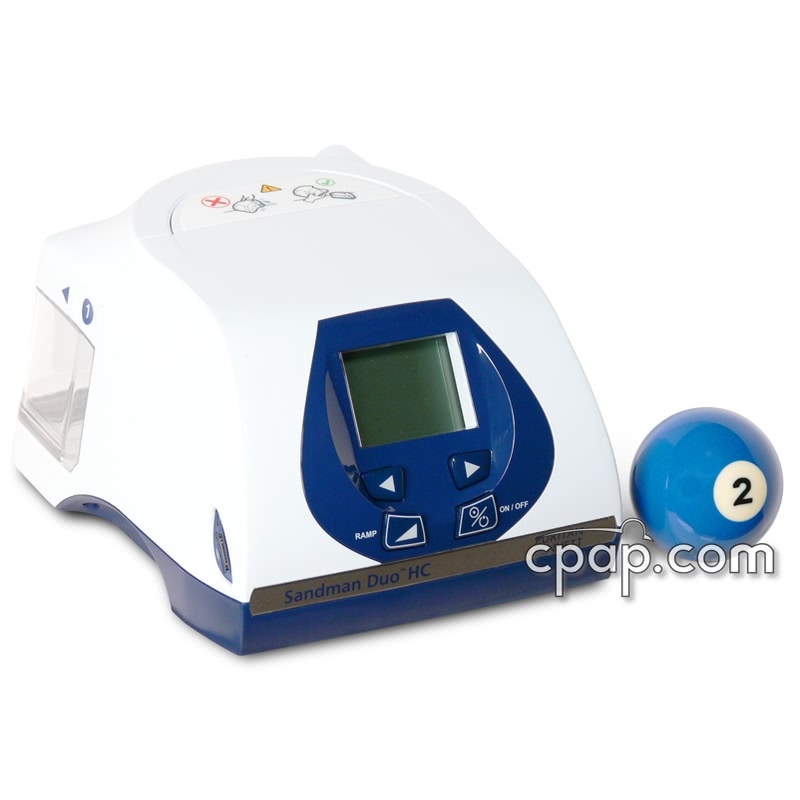 The Sandman Duo BiLevel machine is designed to provide accurate therapy pressure using an advanced Adaptive Pressure Stability system that helps in detecting respiratory events. The Duo is equipped with pressure and flow sensors that detect apneas, hypopneas, inspiratory flow limitations and snoring. Once an event occurs, the machine reacts using an enhanced algorithm that smoothly adjusts the pressure during events. 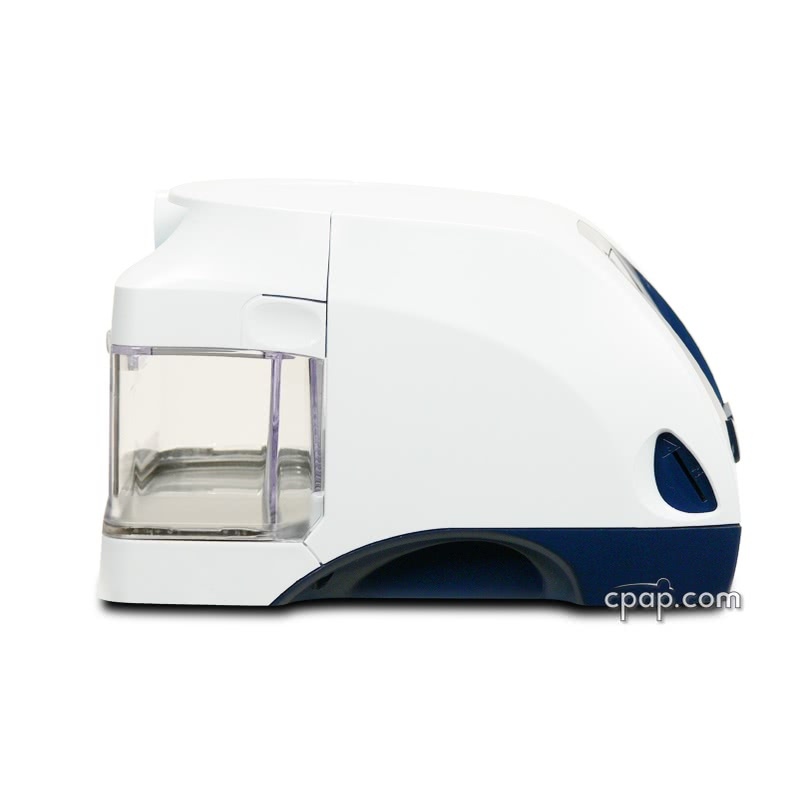 The Sandman Series uses Covidien's unique Adaptive Pressure Stability (APS) technology that limits the peak to peak variations of CPAP pressure when a user breathes. Adaptive Pressure Stability responds quickly and accurately to several common conditions that result in changes from your prescribed pressure down to each breath. Each patient is different and Covidien has created FlowSens technology that allows you to adjust the machine's sensitivity along with setting the rise time. Allowing you to adjust the Sandman Duo to match your apnea needs. True Circuit Calibration helps the Sandman Duo compensate for pressure variances created when using different styles of masks and tubing. For instance, when using a Full Face Mask, a digital signal processor microcontroller helps to improve flow generation capabilities, delivering an accurate pressure at the mask. The Sandman Duo records compliance data which allows a digital signal processor to work interactively with the user and provides accurate flow control. For advanced therapy effectiveness, use the Sandman Therapy Software to help visualize user sessions and take control of your sleep therapy. The device is quiet, discreet and user-friendly. Small and light, traveling with the Sandman is convenient. Use either AC or DC power from an external battery source. If altitude is an issue, the Auto Altitude Compensation feature accounts for barometric changes. 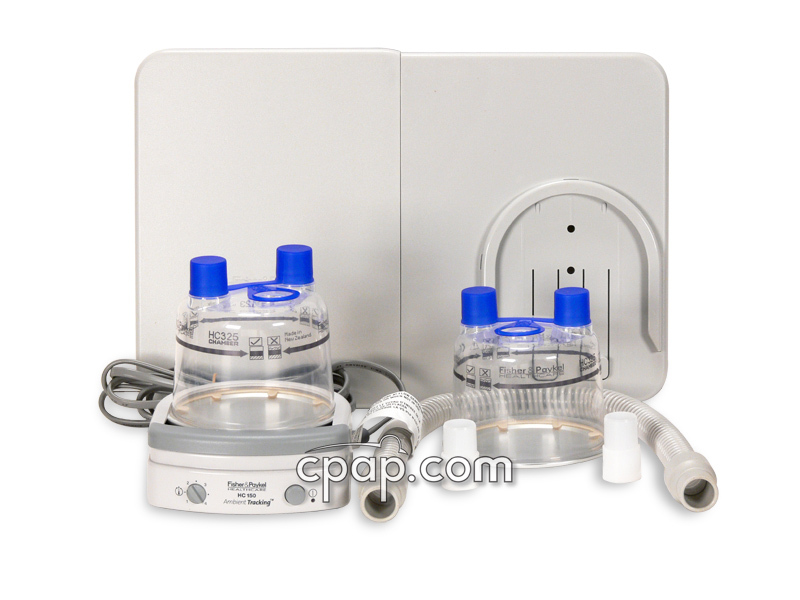 All Sandman CPAP units contain an advanced pressure transducer that compensates for altitudes up to 9,000 feet, which could effect your cpap as much as 3cmH2o of pressure. The user manual included with this machine can be viewed and downloaded here: Sandman User Guide. 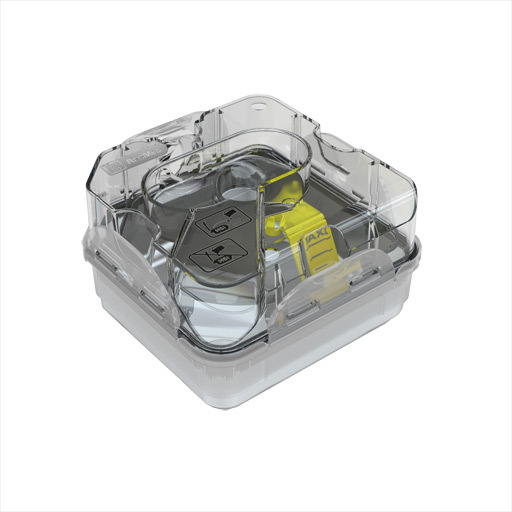 What does a BiPAP prescription need to say? One of the following words or phrases: "BiPAP", "BiLevel", "VPAP"
What is the difference BiPAP and BiPAP ST? 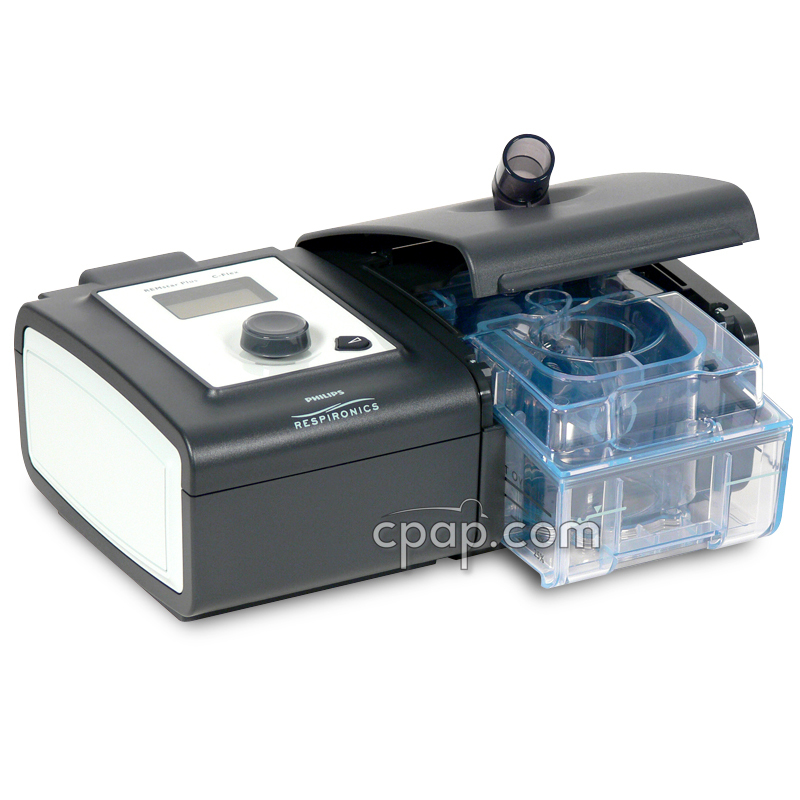 A BiPAP (also referred to as a BiLevel or VPAP) delivers two set pressures, a higher pressure for inhalation and a lower pressure for exhalation. 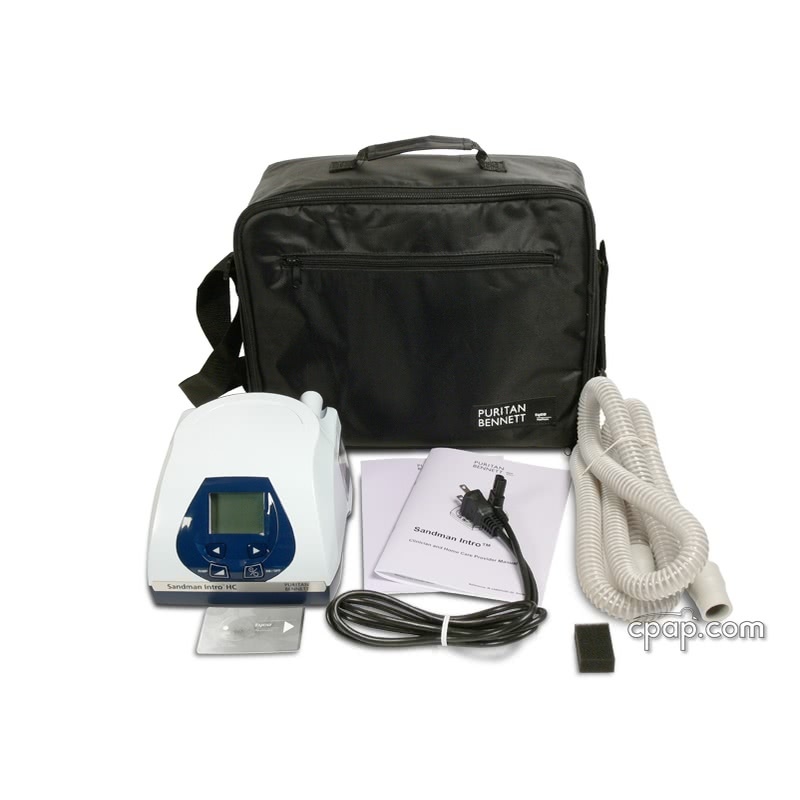 BiPAP and BiPAP ST machines are similar, as they are both designed to provide the same airway pressure. The difference between a BiPAP and a BiPAP ST is the Spontaneous Timed feature. The ST responds to the user when the minimum number of breaths per minute has not been met. 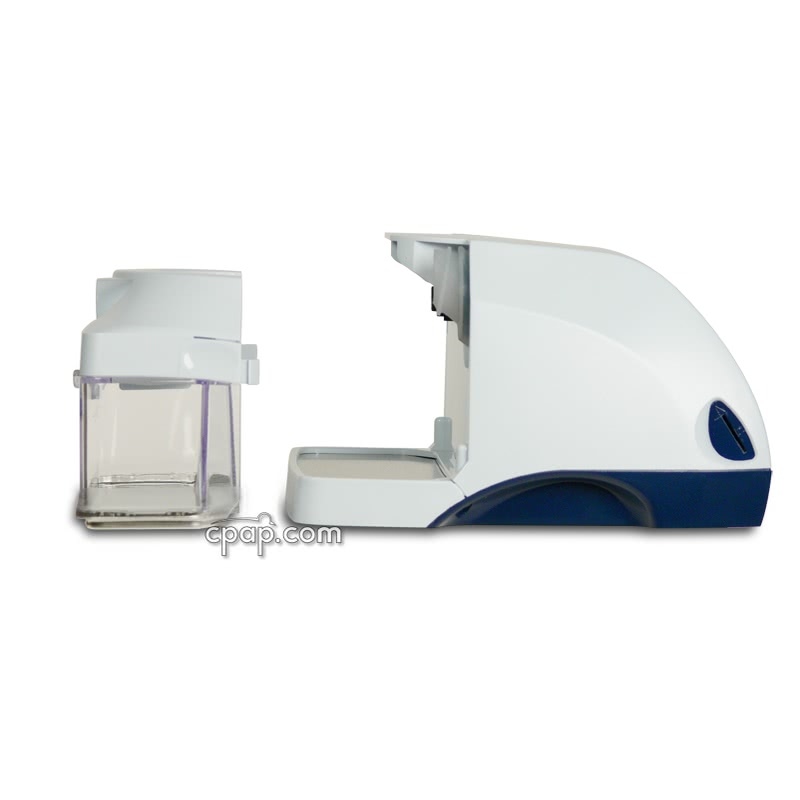 This machine ensures all breaths occur by triggering the user to take another breath within the minute. In this case, a BiPAP will provide an IPAP of 10 and EPAP of 5. 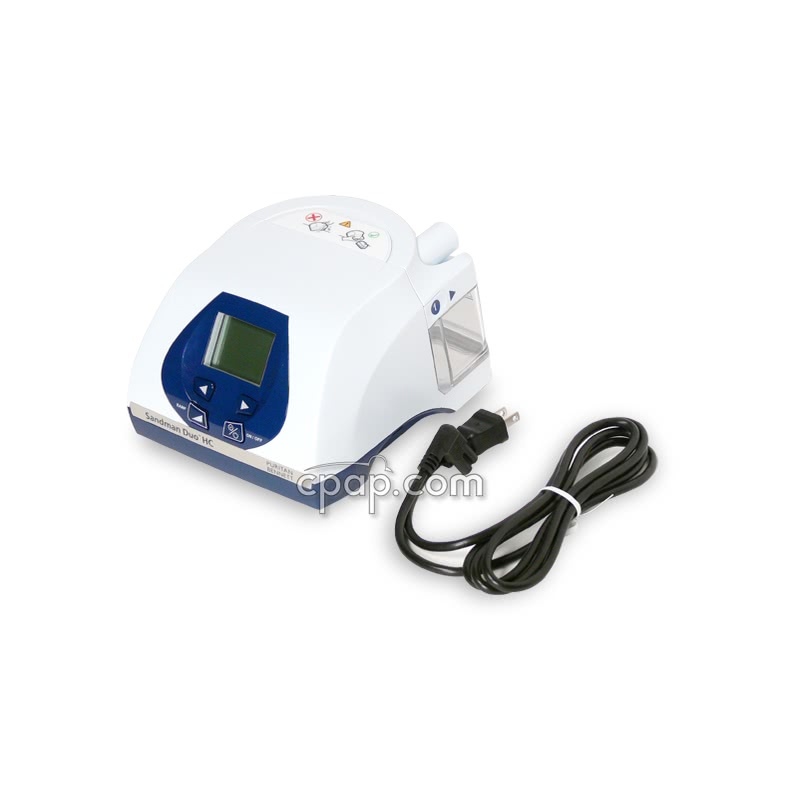 Similarly to the regular BiPAP, the BiPAP ST will provide an IPAP of 10 and EPAP of 5, and will additionally monitor if you inhale 12 times within the minute. Please Note: The ST will not breathe for you, rather it will prompt the user to take a breath.